Hey peaches! I hope that you have had a lovely week so far. I'm popping in real quick to share my first card made with the sweet Humming Along Stamp Set. I got this gorgeous set as a giveaway at the last Onstage event and I was so happy to receive it. 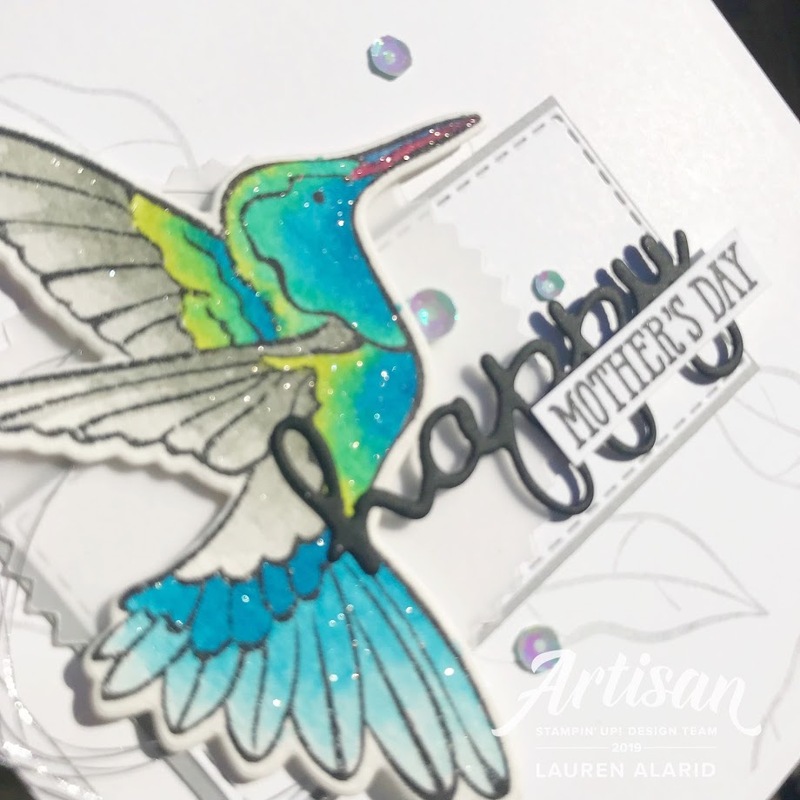 I wanted to create a watercolor hummingbird for my focal image. 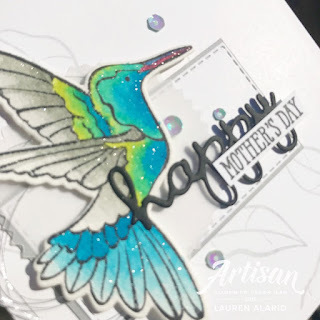 I used Lemon Lime Twist Ink, Pacific Point Ink, and Smokey Slate Ink. 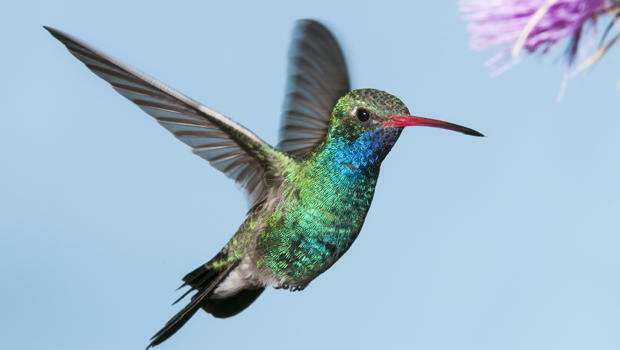 Here's the humming bird image that I used as inspiration (shown above). Well, that's my card for today! Thanks so much for stopping by and I'll see you next post! 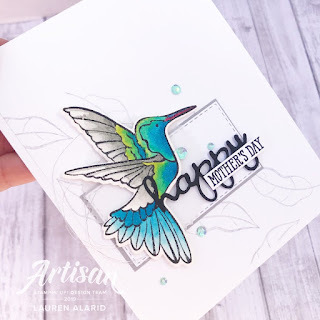 Beautifully colored & designed! Love it!